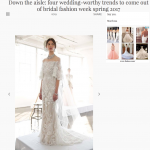 I have always been obsessed with bridal fashion- after all, it is always before my eyes and lenses. So, I thought I would write about some of the beautiful creations that I dream about photographing. Perhaps it will be of some interest to my brides and readers. I remember when I got married, the difficult process of picking the right dress and accessories. I didn’t know where to start from and had no vision in mind to guide my choice. I thought it will interest my readers & all the brides out there to see what feels and looks great but also photographs beautifully. 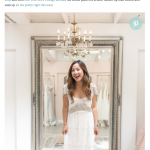 Here are a few tips on finding your perfect wedding dress from Style Me Pretty.